How to ‘investigate’ the Holocaust, or: How not to do a proper investigation. On 12 March 2012, we announced that our answer to the paper “Holocaust Denial and Operation Reinhard”, which was authored by the five above-mentioned gentlemen, would be ready by August or September, 2012. For cogent reasons, those interested in this debate will have to wait for a few more months before we will be able to publish our answer. While J. Graf finished his contribution to our reply some time ago, C. Mattogno and T. Kues are still working on their chapters. In the case of T. Kues, this is due to the fact that he is reviewing important material about new archeological investigations at Sobibór. The comrade who translates C. Mattogno’s chapter from Italian into English can only partially cope with this task so that we will have to find a second translator (both J. Graf and T. Kues, who could basically do this job, are overburdened with other work). For all these reasons, it is quite possible that the five gentlemen from “Holocaust Controversies” will have to wait until late autumn before experiencing the pleasure of being utterly humiliated and unmasked for what they are. 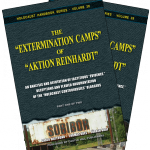 Mattogno, Carlo, Jürgen Graf, Treblinka: Extermination Camp or Transit Camp?, Theses & Dissertation Press, Chicago 2004. Mattogno, Carlo, Belzec in Propaganda, Testimonies, Archeological Research and History, Theses & Dissertation Press, Chicago 2004. The following text is a revised and updated version of an article originally published by the CODOH Revisionist Library website. Sensitive readers are cautioned that the article contains photographs of human corpses which may be deemed disturbing. According to orthodox holocaust historiography, carbon monoxide from engine exhaust was used to kill nearly 2 million Jews in Poland, Serbia and on occupied Soviet territory between late 1941 and the summer of 1944. The majority of these supposed victims were allegedly killed in stationary gas chambers located in three “pure extermination camps” in the Polish General Government – Bełżec, Sobibór and Treblinka – while the remainder is said to have been killed in mobile “gas vans” that were either stationed at the Chełmno (Kulmhof) camp in the Warthegau area of occupied Poland or employed by Einsatzgruppen or SD units operating in Serbia and on occupied Soviet territory. Below is listed the victim figures for each “killing center” as currently held by the orthodox historians. “Caroline is part of a small specialist team in the UK who work in the area of forensic archaeology. Caroline has a strong stomach and she doesn’t mind getting muddy – which helps when she works with the British Police on ‘no body’ cases – apparently it’s not as glamorous as it appears on CSI or Waking the Dead! After the publication of “Evidence for the Presence of ‘Gassed’ Jews in the Occupied Eastern Territories, Part 1”1 in the summer issue of Inconvenient History I have came across numerous pieces of information prompting additions to the same text, which were incorporated in a recently published online Swedish version of the article.2 Since many of these additions need to be considered in the upcoming parts of this study, I have decided to publish all of them separately online in the form of an addendum. The additions are presented in order of the sections to which they belong. “Israel will continue to support efforts to set up a memorial center at Sobibor, according to an agreement reached by the director general of the Ministry of Information and Diaspora Affairs Ronen Plot and the Chairman of the Yad Vashem Directorate Avner Shalev, with Dr. Andzrej Konrat, who is in charge of Holocaust remembrance in Poland. The agreement is in keeping with the statement of intentions agreed upon in 2008 by Israel, Poland, Slovakia and the Netherlands. Almost nothing remained of the Sobibor Nazi death camp in Poland at the end of the war. The creation of a memorial center is the result of cooperative research by Poland’s council for the memory of war victims, headed by Minister Konrat, and Israel’s Ministry of Information and Diaspora Affairs and Foreign Ministry, directed by Yad Vashem researchers and assisted by Slovakia and the Netherlands. 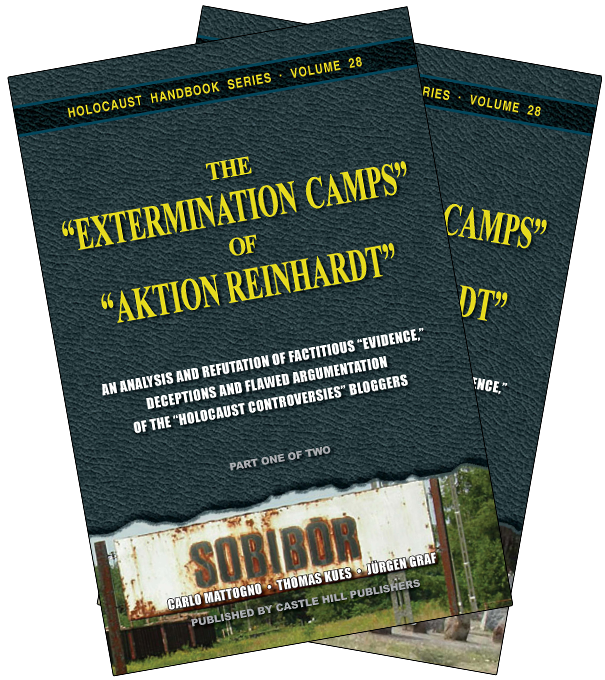 For this purpose, and international committee of experts was established, and digs were carried out at the site to determine the precise location of the gas chambers.